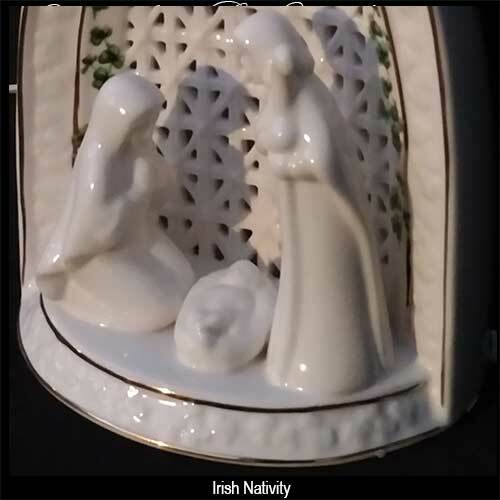 This Irish Nativity depicts the Holy Family in front of porcelain lattice work that shelters the standard night light bulb that illuminates the Christmas decoration. 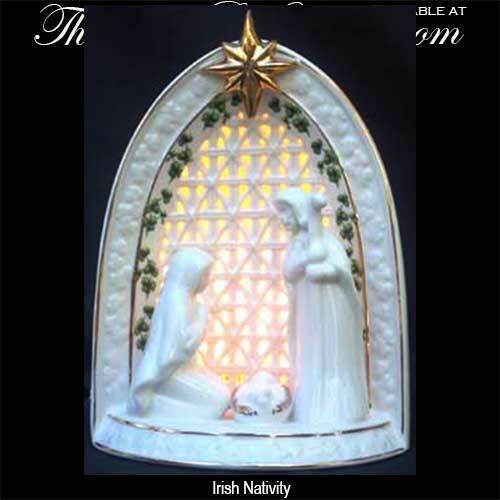 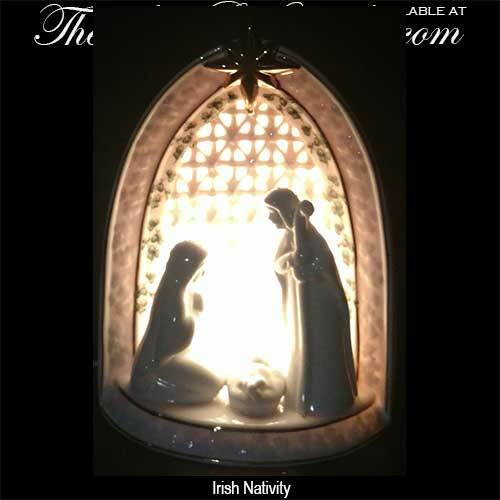 The light up Irish nativity features an outside border of white on white embossed shamrock along with an inside border of green shamrocks. 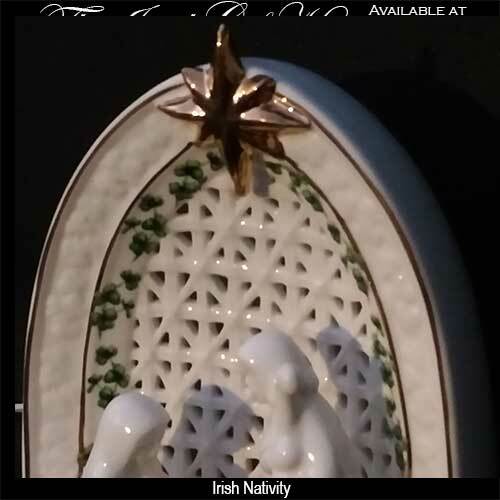 The shamrock Nativity is also enhanced with a gold star along with gold accenting and measures 7 1/4" tall x 5 1/2" wide x 4 3/4" deep. 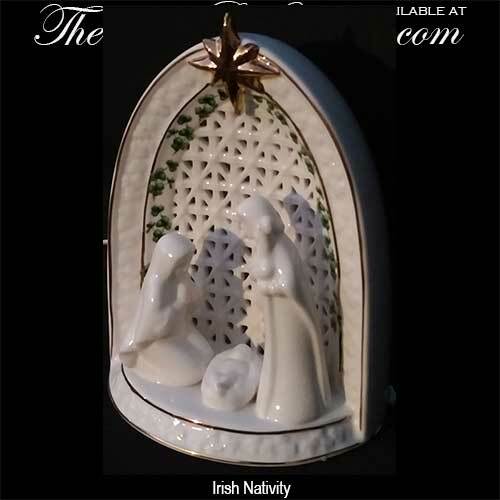 This Christmas decoration is complete with an on/off switch on the power cord and it is gift boxed with a shamrock history card, complements of The Irish Gift House.